The unseemly eruption of hard feelings between Democrats Tom Daschle and Harry Reid couldn't have come at a tougher stage in this election cycle--and Rick Weiland's Senate candidacy is probably swirling around the drainspout as a result. This morning's edition of The Hill lays it out in all its low-class detail. Here's a synopsis: U.S. Senate Majority Leader Reid publicly and stupidly conceded the SD Senate race a year ago with his widely discussed strategic malaprop that "Weiland isn't my choice," adding later that "we are going to lose South Dakota, more than likely." I'd have to call Reid an idiot for coming up with that one, especially in a year when party control of the Senate is up for grabs. Naturally, Weiland's old boss, former SD Senator Tom Daschle, took umbrage and told the Hill recently that Reid's comment "certainly hasn't helped" Weiland's chances here. Daschle's accurate, if understated, observation set off Harry Reid, big time. A Reid spokesman actually said that it's "sad" that Daschle is working against Senate Democrats' interests by his show of support for Weiland. Good grief. Daschle is "working against Senate Democrats" by supporting his one time staffer? Reid is plain crazy. Meanwhle, as Reid and Daschle are going public with their family spat, Rick Weiland sits out here in a political wasteland, basically left hung out to dry by a party that is publicly split over his candidacy. Honestly, if that's all the support I could get from my party's leader in a Senate that I aspire to join, I'd consider chucking the whole effort at this point and throwing my support to Independent Larry Pressler. who seems to be gaining some ground at the expense of both Weiland and Republican frontrunner Mike Rounds. If denying Republicans a Senate majority is one of the aims of Rick Weiland's campaign, that might not be such a bad idea anyway. This morning the wunderkind of political prognosticators, Nate Silver, was joined by another standout forecaster, Sam Wang of the Princeton Election Consortium, in concluding that polls now favor a GOP takeover of the U.S. Senate. As Weiland's campaign (per Nielson Brothers Polling) has failed to gain much ground--heck, it looks to me like he's lost a bit of support since July--he should seriously consider dropping out now. Readers here already know my low opinion of Weiland's "Take It Back" campaign theme, which hasn't stirred up any discernible excitement. He's basically going nowhere with it. Throw in Harry Reid's ill-considered kiss-off, and it looks like the Weiland campaign is doomed. Knowing Rick, I doubt that he'll throw in the towel and join forces with Larry Pressler. But I believe that if Weiland's supporters are seriously serious about keeping Mike Rounds out of the Senate and are willing to take their chances with a guy who doesn't have any political axes to grind at this point in his life and career, Pressler is their man. Much as I pooh-poohed the Pressler effort in the past, Rounds' awful campaign, which has turned off nearly two-thirds of South Dakotans, makes Larry a contender. There is one unifying element in this entire Slaughterhouse EB-5 mess: Everybody involved is/was working for the people of South Dakota either as an elected or appointed official. Trying to sort this thing out has been a huge challenge, mainly because there is an inherent and self-defeating flaw in the process: We're asking these people to investigate themselves. I understand that there may or may not be a federal investigation looking into this complex mess, but to me that's another affair. As a resident of South Dakota I think I'm on solid ground when I say that it's time for our state's authorities to have a look. An outsider with no political ties to the events or the players is probably the only realistic way to get the story. That would call for a special prosecutor from outside the government with no possible political or personal conflicts of interest. True, there's been some lip- and pro forma-service on that score, but really, the efforts have been far less than conclusive--to the point of actually being laughable. A few days ago, during a "hearing" on the matter, the SD state legislature's Government Operations and Audit Committee held a one-day reading of written responses from Republican U.S. Senate Candidate Mike Rounds, who was governor when the mess congealed into a multi-million dollar fiasco between 2008-2010. Rounds didn't even appear in person, which made it impossible for committee members to get some contextual answers and a more complete picture of the situation. GOAC is planning another hearing, after the November election, apparently not interested in ruffling any political feathers until then. That the committee neither subpoenaed nor requested written testimony from Joop Bollen, the state operative who turned the whole EB-5 program from a SD-run venture into a lucrative business for himself, says all you need to know about the legislature's lack of interest in finding out what actually happened. Come this morning's Rapid City Journal, we learned that Bollen, the pivotal figure in this drama, sought an immunity deal from his bosses at the South Dakota Board Of Regents (note: my sister-in-law Kathryn Johnson is a Regent, and we don't communicate regarding this matter). The Regents oversaw his activites when EB-5 was a state university-run (from 1994-2008) entity. Now the Regents are being sued by a California firm that was involved in recruiting international investors for South Dakota's EB-5 projects. Bollen wanted immunity in the case. The Regents, per the RCJ piece, did not grant Bollen's request, which compels two questions: Why did he request immunity? Why didn't the Regents grant it? Meantime, there are issues of financial misappropriation, the bankruptcy of a centerpiece EB-5 deal, a suicide by a key state official involved in the imbroglio, and lots and lots and lots of unanswered questions that boil down to "who knew what, and when?" Add to that the fact that the State of South Dakota appears to be out $120 million in fees racked up by EB-5 investors, and the sum of it all is that a complete investigation is called for at this point. South Dakota State Attorney General Marty Jackley, an elected Republican, can't do this job, and shouldn't be expected to. About a year ago, when the state administration was asked to appoint a special prosecutor, Jackley refused and said there was "no legal or factual basis to do so." The request came from the South Dakota Democratic Party. The request this time is coming from a registered Republican--me. I can't speak to the legal basis, but it sure seems obvious that after a year of factual basis after factual basis after factual basis gets disclosed that South Dakotans deserve some answers. If Governor Daugaard is committed to getting at the truth of this mess, then he'll overrule Jackley and get to the facts of the matter by appointing a special prosecutor. My readers should feel free to forward this post to the relevant officials in Pierre. Mike Rounds Wants To Get Off EB-5 And Talk Issues. Okay, Mr. Rounds--Let's Talk Issues. How About The Economy For One? I notice in the latest pitch for Mike Rounds at the Dakota War College site that Mr. Troy Jones is urging support for Rounds because he's a Republican. Really. That's it. The piece basically makes the case that we need to send Republican Rounds to the Senate in order to change the balance of legislative power there, assuming Rounds is part of a tide that will give the GOP a Senate majority. Meantime Rounds himself has been straining to take the campaign focus away from the Slaughterhouse EB-5 imbroglio and getting it back to the "issues"--as if character and his performance as governor aren't issues. It's a nice try, but it will backfire. For one thing, we send people to Congress to represent us, not the national party. Independent Larry Pressler puts it into a nice nutshell, "I'm as independent as South Dakota." Why Rounds doesn't try to sell himself as an effective force for fighting for us South Dakotans, regardless of national party politics, is a glaringly weak point in his campaign, but as long as his focus is on the national political landscape, let's check that one out and see what happens. I'll start with the economy. To my way of thinking, the country's economy as done pretty well with Obama in the White House and Dems controlling the Senate. I'm pretty sure that all my Republican friends and associates are very well tuned in to the major economic indicators that affect them and their investment activities. I certainly am, and I couldn't ask for a better set of results since Obama took office. Consider the Dow Jones Industrial Average. 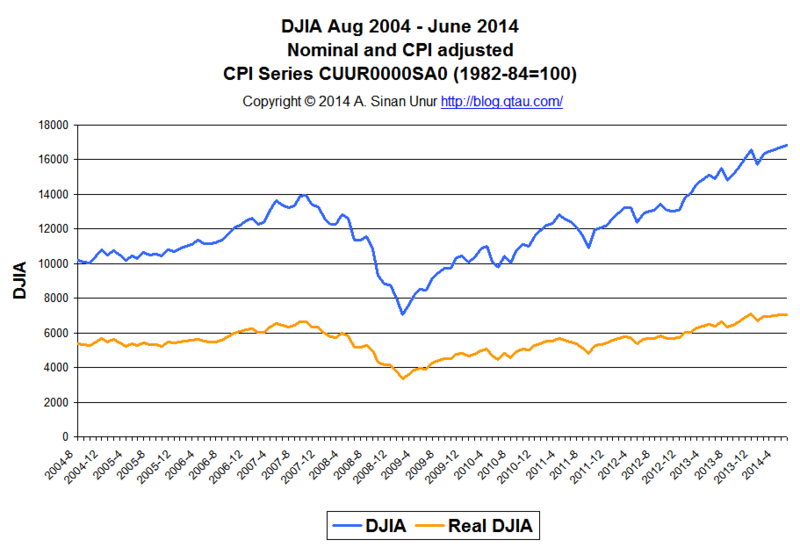 In both real and inflation-adjusted terms it has taken off since the onset of the Obama administration, having more than doubled since the market's disastrous selloff at the end of the Bush years. Even ignoring that giant-sized gain, the DJIA is still a good 25% (including dividends) higher than it was during its peak in the Bush administration. Why on earth would good Republicans who are reaping some fabulous gains want to change the status quo in the Senate, given returns like these? Fact is, voters who matter in a very important sense--those who plunk down serious money on the future of the United States--are making a profound statement about their optimistic outlook. And it doesn't just stop with the stock market. Interest rates are at historic lows, reflecting some of the lowest inflation rates in a generation. Economic growth is steady, if not spectacular, and even the relatively low labor participation (sorry about the jargon, but sometimes I just can't help it) rate seems to be a factor that the economy can deal with, considering that consumer spending and sentiment remain strong. The great cattle prices that South Dakota producers are enjoying right now are a function of more than low inventories. Consumer demand for beef is on fire. That's what happens in a strong economy. Given all this, South Dakotans are being asked to upend the political status quo in D.C. by sending Rounds to the Senate? My goodness gracious, every Republican worth his investment portfolio's salt should consider the implications. I remember once voting for Bill Clinton, in '96, because the stock market and the economy were roaring, even as the political class was in a state of collective angst over "gridlock." I remember thinking, heck, bring on the gridlock--and don't stop. Far as I'm concerned, a divided government is the closest thing to a laissez-faire environment we can get in this day and age. Rounds needs to make a case that his election to the Senate and a potential GOP takeover of that body will improve economic conditions generally and personal investment returns specifically. On that platform, the champion of "South Dakota Common Sense" will have a tough time trying to top the status quo. Minnehaha County (Read: Sioux Falls) Commisioner Jeff Barth, a Democrat, just filed a federal lawsuit against Michael Rounds and a few others over their participation in the Slaughterhouse EB-5 fiasco. Barth's filing is a preliminary request seeking a court order to preserve documents and other evidence that's relevant to the much-reported and -discussed breakdown in the "cash for green cards" EB-5 program in South Dakota. Todd Epp in The Northern Plains News website gives an excellent breakdown of the filing's elements at the NPN website, using his lawyer's perspective to illuminate the process with some professional insight. You can scan the document in the Argus-Leader piece I linked and draw your own conclusions about just exactly who Barth represents and what kind of legal action he contemplates. The legalese of the filing is too technical for me to parse, but I think the gist of it is pretty clear. Barth thinks that the net effect of the transfer of the EB-5 application and investment process from the State of South Dakota to a private entity called SDRC, inc. deprived South Dakotans of millions of dollars. Actually, we know that figure to be about $120 million, based on the news and probably hundreds of well-documented blog posts on the subject during the past year. If you want a complete picture from a non-partisan outside source, the Center for Immigration Studies, here it is. No doubt the timing of Barth's filing and its attendant brouhaha, coming as it does just weeks ahead of the election, is a political gambit ("stunt" if you will), but it does have its merits just the same. South Dakotans got royally shafted by the much larger "stunt" of turning over a profitable program from their hired and elected hands in Pierre to a schemer named Joop Bollen, who found a way to transfer this lucrative EB-5 business from the state to himself. Worth noting is that the budget gap facing incoming Governor Dennis Daugaard in 2011 (I believe $127 million is the figure most commonly used--I'm eminently correctable by more knowledgeable readers via my comments section) was roughly the same amount as was given up by the shady transfer of business from SD to Joop Bollen. Daugaard had to apply some painful budget cuts to make up the difference. On that basis alone, all South Dakotans have a beef that should be addressed in the courts. We came up short of cash that should have been ours. That cash would have been enough to cover most of the budget shortfall that Daugaard had to contend with during his first year in office. For that reason I think we should sue these so-and-sos, who either through complicity or incompetence, left us holding the bag. If there's justice in our society, the courts will see it this way. As to the political class--they can whoop and holler 'til the cows come home. I just want my money back. What A Guy. Rounds Points His Finger At The South Dakota Board Of Regents. Too Chicken To Debate Out West . . . Too Chicken To Accept Responsibility, Statewide. What a guy. Seems to me the pivotal moment in the fiasco that has come to be known by me as Slaughterhouse EB-5 came in 2008. A state employee named Joop Bollen had just created a company called SDRC, inc. While serving as a state employee at Northern State University's International Business Institute, Bollen contracted with his self-created company to take over the administration of the EB-5 "cash for green cards" program that had up to then been handled by Bollen as a state employee. Are you following me so far? Bollen, working for the state and on behalf of the state signed a contract between the state and a company he formed. It's of no little coincidence that the deal diverted about $120 million of fees generated by EB-5 investments from the State of South Dakota to Bollen's SDRC, inc. Having walked away from Northern State University shortly after signing the contract, all the files (15 years worth, apparently) regarding the EB-5 program in hand, Bollen was in possession of all the insights and information that led him to realize that doing this work privately, not for the state, could turn out to be a very lucrative deal. Unbelievable as it may seem, this actually did occur. And it happened while Republican Senatorial candidate Mike Rounds was the governor of South Dakota. Asked about it in writing this week, Rounds replied that it wasn't his job to know what was going on with Bollen and that contract. You can follow the exchange here. The written conversation occurred this week between the South Dakota Legislature's Government Operations and Audit Committee (GOAC), which is investigating this and other matters involving Slaughterhouse EB-5. The questioners asked when Rounds approved the contract. Rounds replied, "I did not approve this contract. This contract was under the supervision of Northern State University and the Board of Regents." Before I go on I should note that Regent Kathryn Johnson is my sister-in-law and that I have no information or insights about this matter from her and don't intend to seek any. That said, I think it's astounding that Rounds is passing off responsibility for having missed this glaring (some might say criminal) act of conflicting interest. Rounds obviously has no time for the executive dictum set forth by President Harry Truman: "The buck stops here." To him the buck stops with college administrators and the Board of Regents. However, from the Regents own website, it's clear that all "fiscal, business and personnel practices of state entities also applies to the Board of Regents." It's also clear (directly from the SD Constitution) that the Governor shall be responsible for the faithful execution of the law. In short, whether the Governor likes it or not, the buck stops at his desk. No way do I think this lets the Regents off the hook. I questioned their lack of oversight and apparent lack of follow-through in the piece I wrote for the Rapid City Journal a few days back and I'd still like some response. How they stood by and let Bollen waltz out of Northern State with all those records seems like an appalling level of institutional indifference. But when it comes to the final bulwark of responsibility for this mess, it stands at the Governor's door. That Rounds is trying to deflect the blame is a weak attempt at evading responsibilility, an admission of incompetence . . . and genuinely raises questions, not necessarily accusations, but questions, of complicity. $120 million bucks is a lot of money. Where did it go? Re: The SD Legislature's 9/24 Hearing On The EB-5 Catastrophe. Can I Just Squeeze In A Couple Of Questions For Mike Rounds And Joop Bollen? I still think Joop Bollen should be subpoened for this "hearing." The South Dakota Legislature's Government Operations and Audit Committee (GOAC) will be holding what they call a "hearing" on the Slaughterhouse EB-5 brouhaha that I wrote about this week in the Rapid City Journal. You can link to the RCJ piece to get a broad summary of what this mess is all about, but the bottom line is that the State of South Dakota lost $120 million by looking the other way while Joop Bollen transferred, from South Dakota to himself, the lucrative business of arranging "cash for green cards" loans to foreign nationals via the U.S. Immigration Service's EB-5 program. I rather scornfully put the word "hearing" into quotes because even though GOAC officially calls it that, the event will actually be a "reading," at least in part and possibly all the way through. One key witness--former SD Governor and current Republican candidate for the U.S. Senate Mike Rounds will be allowed to avoid a physical grilling in the hearing room. In a done deal for Rounds, he'll be able to respond to two sets of written questions (Set 1 and Set 2) with written responses, a venture that will no doubt keep him and his lawyers occupied to the max for the next few days. I'd be amazed if the answers are as straightforward as the questions. They'll certainly provide for a spin-o-rama in coming weeks. With the other person of immense interest, Bollen, it's still unclear as to whether he'll show up in person or not. GOAC chairman Senator Larry Tidemann sent Bollen an ingratiatingly worded invitation to appear (Can you imagine? An "invitation?" Good grief.) and got this response from Bollen's lawyer. As RSVPs go, it's pretty unequivocal: No! I think Tidemann got the slap-back from Bollen's lawyer he deserved with that obsequious invitation in the first place. On top of that, Bollen's offer to respond to written questions with written answers is ludicrous. It avoids the spontaneous real-time flow of questions and answers in a hearing room that will make it difficult for Bollen to equivocate and dodge. It will give him the time to think through every query and polish a self-serving written response. GOAC is empowered to subpoena Joop Bollen and should do so with no hesitation. 120 million bucks is a lot of money and the state deserves answers about how this money got away. Bollen knows and he should be made to cough up the info at the hearing next week. In the meantime, as I review the list of Qs that are being submitted to Rounds, there seems to be a compelling omission. I hope the GOAC will also ask this question of each man, namely, "just how do you feel about the fact that your handling of this matter caused South Dakota to lose $120 million in a matter of a couple of years?" A follow-up for Rounds: "After letting that kind of money slip through the fingers of your fellow South Dakotans, why should they trust you to represent them in the United States Senate?" A follow up for Bollen: "Where's the money?" Powertech Uranium is the company that has been trying to set up a uranium mining operation in the southern Black Hills for a few years. That the company has met with some ferocious resistance in the region is well-documented, both here and elsewhere. That the company has been suffering financially as a result of the long delays in Powertech's efforts to get the necessary state and federal permits is a sidebar of particular interest. This isn't about the science of in situ mining (which amounts to using groundwater as the source for extracting uranium and forever altering the composition of that water as a result), this is about the company's ability remain financially viable as the expenses and delays involved in the permitting process mount up. There's been an eye-catching jump in Powertech stock's trading volume in recent days, even as the stock price has been hitting all-time lows of 5 cents/share. High volume and a plummeting stock price don't augur very well for a publicly traded (PWE.TO) company, especially one like Powertech that languishes in the nether world of penny stocks, a market where speculation, rumor and hype are often the drivers of share prices. Just from the price and volume action in PWE stock it seems obvious that something with this company is out of whack. Then suddenly last Friday along came confirmation. In a news release dated 9/17, Powertech announced that another delay in its long-planned merger with Azarga resources is occurring. Azarga is the deep-pocketed, Asian-based company that essentially planned to take over Powertech, effective last July. That union was later pushed back to this month, and now the deal isn't supposed to take place until late October. Checking a little more deeply into the latest news, I got some tangible support for my opinion of this company's weak financial condition. Powertech is on the ropes. In fact, I think the company is essentially broke, a conclusion that comes clear if you scan the news release I linked. Powertech is now borrowing cash from Azarga, probably in order to maintain its meager operations, in 6-figure units that have to be repaid at usurious rates before the merger occurs. I mean, if you have to borrow money and pay it back, plus 15% to 30%, in less than two years, I can tell you that you're cash-strapped to the point of desperation. Analyzing this last bit of news, I'd also say that further delays in the merger are forthcoming, considering that Azarga's lending timelines stretch out over the next few months. There's some wiggle room around the planned merger completion date of 10/31/14. Something is seriously amiss. Given the dump-it-now action in Powertech stock, given that Azarga is essentially lending money to its weak sister in order to keep the company afloat, given the continued delays in the permitting process, and given the shaky nature of the various entities (including--here's the story about the troubled Singapore-based Blumont Mining) involved in the coming merger, I'd have to conclude that something is not right in the house of Powertech. As I noted in an earlier post, there's a whole lotta shakiness goin' on. Please, Mr. Bollen, Won't You Come And Testify Before The Legislature? Pretty Please? Pretty Please With Sugar On Top? Talk about a wussy effort at getting to the truth of a situation by an elected body, the South Dakota legislature has made a farce of its handling of the EB-5/Northern Beef fiasco. The U.S. Immigration Service's EB-5 visa program allows foreigners of considerable means to plunk down money in units of $500 thousand as investments in American enterprises, receiving in return legal residency status that can eventually be converted into citizenship. Until 2008, the State of South Dakota handled the process in this region through an entity called the International Business Institute (IBI) operating out of Northern State University in Aberdeen, apparently receiving some very hefty fees from these foreign investors as compensation for setting up the deals. In '08, the guy who ran the program from IBI created a private company named SDRC, Inc. That guy, Joop Bollen, then contracted, on behalf of the State of South Dakota, with his own company, SDRC, Inc., to turn over the handling of EB-5 applications and investments to himself, thereby collecting millions of dollars in fees that would otherwise have gone to the State of South Dakota. Yes. This really happened this way. Since then a gigando floppola called Northern Beef Packers was developed with EB-5 investment money, well over $100 million of it, and a few million tossed in by the taxpayers of South Dakota as an economic development assist. Timelines and details of the whole sorry scheme are available at Cory Heidelberger's excellent and informative blog The Madville Times, where Heidelberger over the span of at least a year has been persistently and indefatigably piecing it together. The story is compelling, including as it does the suicide of a state official involved in the EB-5 program and a fair amount of foreign intrigue, considering that the burned investors were mainly Asians and that one of the financial entities involved is a Caribbean bank. But as compelling as the story is, it is incomplete because of the lackadaisical effort made by elected state officials, mainly Republicans in the SD legislature, to get at the details of this thing. Finally, after months of prodding and the revelation, bit by bit, of elements of the story that can't be ignored, a hearing in Pierre on this matter is set to take place later this month. You'd think the most knowledgeable individual involved would be the star witness at this hearing, but no, Joop Bollen is getting treated timidly by the Republicans who are running this poor excuse for an investigation. The committee chairman, Larry Tidemann (R-7, Brookings) asked Bollen to appear but was turned down. Apparently, Tidemann doesn't consider the matter important enough to issue a subpoena, which he is empowered to do. This is ridiculous. I mean, asking the central figure in a multimillion dollar imbroglio to appear before a body investigating it? Not subpoenaing, but asking? And then settling for written responses to written questions as an acceptable alternative? Puh-leeze. It looks like cover-up city. What we have is a potentially toxic political shock coming out of all of this, considering that then Governor Mike Rounds, who was the man in charge while Slaughterhous EB-5 was in the works, is now running for the U.S. Senate. Rounds is supported by a limp plurality of 39% of voters, meaning that nearly two-thirds of us South Dakotans would rather not have him as our senator. Revelations that tie Rounds to this scandal could be fatal to his wobbly chances of winning that seat. As with many other voters, I want to know how Rounds was able to let Bollen get away with signing a multimillion dollar contract with himself on behalf (and at the expense) of the State of South Dakota. Bollen must know. 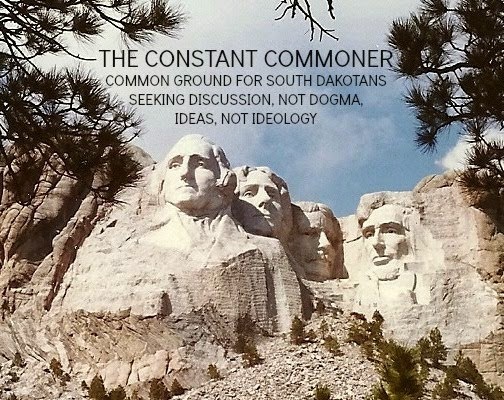 Applying my "South Dakota common sense" (the thematic pride of the Rounds campaign), I doubt very seriously that Bollen's lawyer-ized written responses to that question and others will shed the kind of detail that a face-to-face visit with the knowledgeable and inquiring minds of a legislative committee will elicit. Real-time questions will lead to other real-time questions in that setting. There's no substitute for human interaction in a matter as important as this. The people in charge of this committee should start searching for the truth and quit covering their political keisters. The Larry Pressler Campaign Does Have A Point, After All: Its Aim Is To Make A Rounds Victory A "Fait Accompli." Some month ago I dismissed former SD Republican Senator Larry Pressler's campaign as "pointless." I pretty much wrote off the aging wunderkind's emergence in the race as an Independent candidate for the U.S. Senate seat being vacated by the retiring Democrat Tim Johnson as a glorified ego-trip and and expected his campaign to dissolve rather quickly. That Pressler is showing up in the polls with about 25% support isn't exactly a mighty repudiation of my disdain for his campaign, but it does show that I was too quickly dismissive of his role in this race. Little did I guess then that former Governor Mike Rounds, who looked invincible at the time--given his money and name-recognition--would get less than 40% support at this stage of the cycle. I think with Mike Rounds, the problem is that the more he shows up, the more people are willing to look the other way. Dynamic, he is not. Nor does he have a particularly stellar record as Governor to use as a prop. Add in the nearly daily pounding he's been taking on the blogosphere because of the EB-5/Northern Beef scandal that occurred under his watch, and voters have reason to consider the alternatives. This must be especially dismaying to the Rounds forces, considering their man won re-election to the statehouse in '06 with more than 60% of the vote. All this has made it possible for Larry Pressler to stumble into factor-hood. The Survey USA poll cited above notes that if Pressler weren't in he race, it would be a dead heat between Rounds and his Democratic challenger Rick Weiland, so substantial is the anti-Rounds sentiment in South Dakota. It also forces the Weiland campaign to spread its resources, which are limited because the national Dem financial warchest hasn't been giving him any support. I think the party's national leadership has been stupid not to get behind Weiland because Rounds' vulnerability has become obvious, but that's another story. The story now is that Pressler has made some gains thanks to the disenchantment with Rounds. This of course has come at the expense of Weiland--and the conspiratorially-minded have some reason to wonder if there isn't some closet support for Pressler's candidacy coming from hidden Republican circles. Knowing Pressler's main (or at least most visible) backer in Rapid City, the feisty and independent-minded Don Frankenfeld, I'd be amazed if that were the case, though in politics all things are possible. The Federal Election Commission reports that Pressler has so far received the less-than-princely sum of $108k, which doesn't seem like enough to support that recent spate of slick TV spots touting his refusal of a bribe in 1980 as a reason to vote for him in 2014. I believe that the FEC data runs through the end of the July quarter, which means numbers for the current quarter ending this month won't be up for a while. Readers with more knowledge and information are more than welcome to correct me as necessary here in my comments section. But money notwithstanding, it's pretty clear that Pressler's function at this point is to diffuse the anti-Rounds vote, either by design or circumstance. It matters not, as the whole hare-brained scheme is likely to have the effect of electing the man, Mike Rounds, that a strong majority of South Dakotans would prefer not to have as their U.S. Senator. Way to go, Larry Pressler. Hey, Mike Rounds! Duck! It's A Debate! Mike Rounds just cannot rise to the challenge of taking advantage of every opportunity to debate his opponents. And neither, apparently, can he and his campaign rise to the challenge I posed a few days ago when I asked them to identify the "scheduling conflict" they deemed important enough to blow off Sioux Falls TV station KSFY's debate on September 10. Given that Rounds is asking me and every other South Dakotan to hire him as our U.S. Senator for the next 6 years, I think as a prospective employer I'm being reasonable enough. He claims he can't meet with me and my fellow South Dakotans in a format where I can compare him in real-time to the other applicants for the job because he has something more pressing on his schedule. I'd like to know just what's so important that he's skipping this joint job interview. The comment section here is open for an answer. Meantime I note that Rounds has also skipped out on a September 12 debate at the United Tribes Technical College in Rapid City. His excuse this time is actually quite revealing. After claiming that the date doesn't work, Rounds spokesman Ron Skjonsberg told Native Sun News, "I still don't think a debate is the best venue for a two-way conversation on these issues. Instead my offer for a one-on-one, the students and your staff, stands. We can accomplish what you seek with a conversation, I believe." This is a fatuous claim, on two levels. First off, how do Skjonsberg and Rounds presume to know what the Indian community and its students "seek?" This is an unwitting disclosure of political condescension, disingenuously claiming the campaign knows what is best for the sponsors of the debate. Secondly, the debate was scheduled for a reason: Its sponsors and attendees want to see the candidates live, interacting with each other, giving off their thoughts in a format that is intentionally stressful--somewhat like the confrontational challenges that occur on the floor of the United States Senate or in its meeting rooms when collisions of power, philosophy and economic interest demand toughness and composure. How best to measure those qualities than in the battleground of a live debate? I suppose you could make the case that as front-runner, Rounds has much to lose and little to gain in these debates, so it's politically smart to avoid them as much as possible. Unfortunately for Rounds, it's becoming apparent that the political calculation is one of necessity, not general strategy. The Rounds campaign is festooned with charges and questions coming out of the EB-5/Northern Beef fiasco that occurred during his watch as Governor. No doubt the matter will come up during the course of the two debates with state-wide coverage he's limited himself to, so for now, as far as Rounds is concerned, less is more. What they actually fear, of course, is that where exposure to Rounds in debate mode is concerned, more is less, much less. Nice To See Rick Weiland Taking The Gloves Off. No Surprise, Now That Steve Jarding Is In His Corner. Democratic U.S. Senate candidate Rick Weiland and his somnambulent campaign against Republican and former SD Governor Mike Rounds just got the goosing it needed. Having recently read that political consultant Steve Jarding has joined the Weiland team, this comes as no surprise to me. A few elections back, Jarding played a big role in Democrat Jim Webb's win over heavily favored Republican George Allen in their Virginia race for the U.S. Senate. Jarding's virtuosity resulted in a come-from-behind masterpiece that I believe is perfectly capable of recurring here in South Dakota. For one thing, as I noted here after the GOP primary (which Rounds won with a bare majority), Rounds failed to close the sale, despite his titanic lead in money and name recognition. His 55% majority against a field of underfinanced and little-known challengers only showed that nearly half the Republicans who voted in the primary preferred another candidate to carry the GOP mantle. A solid bloc of partisan support this is not. A lot of Republicans who looked elsewhere during the primary will do the same in the general. This is up for grabs, and now that Weiland's campaign has taken an aggressive tack, even more voters will start paying attention to the race, turning their critical eyes to Rounds. I believe that Rounds, sensing and fearing this, just basically backed away from the first mass-media confrontation with Weiland, the campaign debate to be aired by Sioux Falls TV station KSFY on September 10. Rounds' excuse? That old standby, "scheduling conflict." I challenge the Rounds campaign to disclose the scheduled event that they deem more important than presenting their candidate, confronting his challengers, to a huge number of voters, especially in the wake of all the charges attached to Rounds' connection to the EB-5/Northern Beef Packers fiasco. I've been chiding Weiland here for months about the vapidity of his "take it back" campaign theme, lacking as it did specifics and any direct shots at Rounds, so I welcome "the Jarding touch," if only because it will snap more voters to attention. I don't think South Dakotans want a race about broad ideologies and hackneyed slogans. Weiland and "Take It Back" are only slightly less banal than Rounds and "South Dakota Common Sense." Things are likely to get rough on this particular campaign trail, but the mettle-testing that results will make for excellent contrasts and comparisons. The campaign is about two guys and their abilities to best represent the interests of a tiny state like South Dakota in the mighty halls of Congress. Watching them go at it now will reveal something about the moxie the eventual winner will take to D.C. Governor Daugaard's "Workforce Summit Final Report" Just Came In. It'll Sit On A Lot Of Shelves And Gather Dust--And With Good Reason. Just finished reading all 62 pages of Governor Daugaard's "Workforce Summit Final Report." Like Daugaard's other efforts at developing a larger pool of skilled workers in South Dakota, I think this one is likely to fail. My friend Cory Heidelberger over at The Madville Times calls attention to the report's most glaring oversight, its failure to address the gap between South Dakota wages and those of our surrounding states. I'm as astonished as Cory by this omission of the obvious, but after going through the polemic (provided by Accenture plc) I was mainly struck by the report's misplaced emphasis. This report is all about developing skilled workers, mainly from within South Dakota's population, and unleashing them on a state that purportedly is desperate for their technical skillsets. Considering that only a bit over half of our current tech school grads are employed in their fields in South Dakota, the need doesn't seem to be for more trained tech school graduates but for jobs that they can get here inside the state. And this is where I think Accenture has seriously missed the mark. As I believe that labor follows capital, the state's emphasis should be on attracting businesses that can pay competitive wages and make a lifetime in South Dakota a real consideration for young people in search of a good home and a decent job. Just to give you an idea of what's available in Rapid City on the job front these days, here's Monster.com's list today. Nothing against these jobs or the people that take them--it's just that there doesn't seem to be much demand for well-trained, highly skilled workers in this town. I do like the report's constant drumbeat about all of this being a joint effort. Accenture correctly emphasizes that "each sector has a role in a developing unified workforce agenda moving forward. The next step is for business, education, community and government to identify and implement the possibilities . . ." Rhetorical as that phrase may seem, it's dead on. I just don't happen to agree with the report's strong bias toward possibilities that are limited to turning out a larger pool of skilled workers. There's a much bigger picture than this tunnelized view suggests. South Dakota has to make itself a place where not only workers want to settle in. It has to work at attracting the management and investment classes as well. That's a tall order, indeed, but one that has to be filled. Labor Day, 2014. Seems To Be Plenty Of "Day" In South Dakota--But Where's The "Labor?" The apologists for lousy wages in South Dakota will just not stop with the excuses. The latest one I saw came in the Labor Day edition of the Rapid City Journal this morning. In its piece headlined "Many jobs, few workers, low pay," the RCJ story (by-lined by Seth Tupper) went to Benjamin Snow, President of the Rapid City Economic Development Partnership for some thoughts on the Rapid City's chronic labor shortage. After noting that South Dakota, according to Bureau of Labor statistics published last year, had the nation's 2nd-lowest average hourly wage, RCJ got this paraphrased reaction from Mr. Snow: "Wage debates sometimes ignore the positive impact of South Dakota's low cost of living . . . Earlier this month the non-partisan Tax Foundation in Washington, D.C. published an analysis of the relative value of $100 in each state. The relative value in South Dakota is $113.38, which is fifth highest in the nation." The contrast presented in the RCJ piece was with Washington, D.C., where a hundred smackers had the lowest relative value in the country at $84.60. This is an amazing failure of contextual analysis, actually, as I believe a much more meaningful comparison would be with the contiguous states in our region. I think it stands to reason that looking at our adjacent competitors for the already short supply of labor gives a more useful picture, and the comparisons there are much less stark. The average relative value of a hundred bucks in SD and its 6 contiguous neighbors is about $108, so SD's $113 doesn't look quite so attractive on that scale. That Mr. Snow continues to perpetuate the "South Dakota has a low cost of living" myth makes me wonder if he and the development group he heads are using the kind of hard-headed businessperson's look at reality that running a successful profit-oriented operation demands. Certainly the fact that Rapid City continues to come up short in the labor pool sweepstakes suggests that Snow's organization could use some re-orientation on its views about how the city, specifically, and the state, generally, stack up in the COL rankings, if indeed that's what they keep using as a come-on for developers and investors. Continually pushing the line that SD is a low-cost state is flat out wrong. If you don't have time to look at the link I'll condense it: A U.S. Census Bureau vendor called The Council For Community And Economic Research (thanks, Cory Heidelberger at The Madville Times, for saving me the time of looking this up) places South Dakota at smack-dab-in-the-middle, number 25, of the country when it comes to cost of living. It's time for all of us to get over the notion that life in South Dakota is some sort of economic bargain. And as long as low-wage apologists want to bring up rankings, here's one from the playbook that we Republicans like to consult on all matters economic--Forbes. The mag recently ranked the states on best and worst places to make a living, using data from Moneyrates.com. All six of our contiguous competitors outranked South Dakota. All six. Minnesota, Nebraska and North Dakota are waaay out in front, each of them in the top ten. So you want rankings? I have rankings. On a hopeful note, I see that SD Governor Dennis Daugaard is about to unveil the results of his series of "Workforce Summits" that took place throughout the state earlier this year. The summits were a result of Daugaard's commitment last January during the legislative session to make workforce development a top priority this year. My hope is that the conclusions are more broadly-based than mere economic considerations--and that issues like educational opportunities, healthcare, cultural development, recreational assets and other lifestyle-oriented matters are addressed and attended to. South Dakotans, like all people, don't live by bread alone. And a skilled, well-educated workforce demands more than steady paychecks to make lifetime commitments to this state.